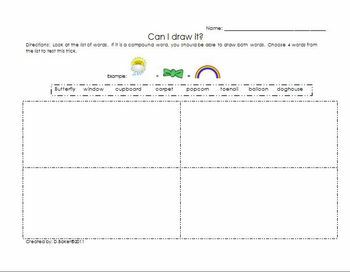 Compound Words Can I Draw It? There's a little trick I teach my students when it comes to compound words. If you can draw a picture of each word in the compound words, then it is a compound word. This one-page activity gives them a chance to put this little trick to the test. This is a nice companion to my compound smartboard and powerpoint lessons.